The first 1001 days of a child’s life are critical. A period of rapid growth, babies’ brains are shaped by their early experiences and interactions they have with the grownups who care for them. Healthy development, including language development, from conception to age two “is linked to improved mental and physical health, reductions in risk and antisocial behaviour and achievement at school and beyond.” (The 1001 Critical Days). And beyond early childhood reading, museums are increasingly considering how their programmes can strategically contribute to public health and wellbeing across the life course. Seven Stories deliver award-winning learning and family reading programmes, which champion reading for pleasure and support literacy development. Seven Stories also have expertise working with children with additional learning and sensory needs, and delivering activities in hospice and other health settings. Newcastle University’s internationally recognised Faculty of Medical Sciences tackles challenges in health and healthcare, including ageing, cancer, cell biology, genetics, drug development, medicine in society and neuroscience. Through the Vital North Partnership, we aim to realise a range of social, educational and cultural benefits – and exploring public health is becoming an increasing area of focus for our work together. 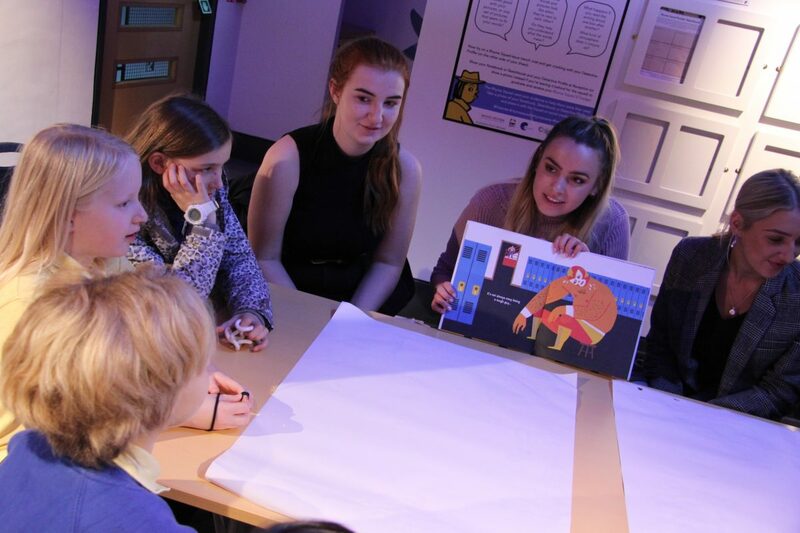 On Saturday 2nd and Sunday 3rd March 2019, staff and students from Newcastle University’s Institute of Neuroscience and School of Psychology delivered a weekend of activity, ‘What Makes Us, Us?’, at Seven Stories. Led by Dr Ann Fitchett and Dr Billie Moffat-Knox, children and families visiting Seven Stories engaged with Newcastle University students to explore what it means to be human – what we have in common, and what makes us unique. Through different activity stations, families learnt about brain science, why acts of kindness make us happy and how we see colours. Thinking about how children’s books can engage with health narratives and medical research, we’re looking forward to this year’s Fickling Lecture on Developments in Children’s Literature with Henry Marsh, neurosurgeon and author. Marsh pioneered techniques in operating on the brain under local anaesthetic and has written two books about his experience as a neurosurgeon. Henry Marsh will be discussing how doctors, witnesses and participants in the stories of their patients’ lives, are beginning to tell children’s stories about their practice. He will explain what he thinks makes a good medical story for younger readers. I’m also very pleased to say that the Vital North Partnership has secured funding from Newcastle University’s Humanities and Social Sciences Faculty Impact Fund to support a new project. This will bring Seven Stories’ Creative Learning and Engagement team and the Children’s Literature Unit together to explore how children’s literature can be used to support young people’s wellbeing. As part of the project, led by Dr Hazel Sheeky-Bird and Dr Lucy Pearson, Seven Stories will be working with the research team to deliver a version of their Reader in Residence programme in a secondary school setting for the first time, exploring Seven Stories’ Aidan and Nancy Chambers collection and thinking creatively about emotional resilience. I am excited about the potential impact of this new focus for our work together – and I believe that through the Vital North Partnership, Seven Stories and Newcastle University can enhance and promote public health, and particularly children’s health, in the North East and beyond. In 2016, Seven Stories: The National Centre for Children’s Books acquired the prestigious archive of Aidan and Nancy Chambers as part of the Heritage Lottery Fund’s Collecting Cultures project. In doing so, it gave a home to one of the most important British children’s literary archives in the country. In this blog post, Newcastle University Research Associate Dr Hazel Sheeky Bird, who is working on opening up new research avenues into the collection, supervised by Dr Lucy Pearson, explains the background to this archive. 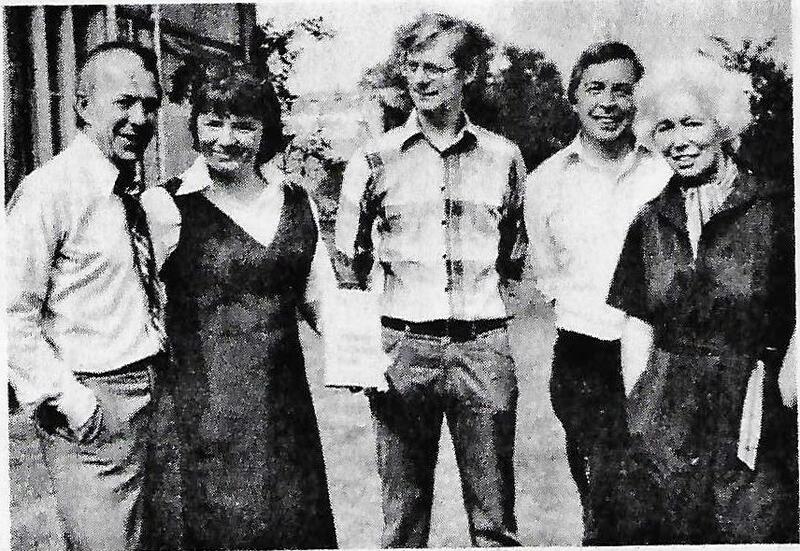 The range of material held in the Chambers archive is truly impressive, hardly surprising given the contribution that both Aidan and Nancy Chambers have made to the fields of children’s and young adult fiction, literary criticism, publishing and education. Thanks to a grant from the Archives Revealed Scheme (funded by the National Archives and The Pilgrim Trust), research supported by Newcastle University’s Children’s Literature Unit and the ongoing commitment and expertise of the Seven Stories Collection team, the Chambers archive will soon be available for use. 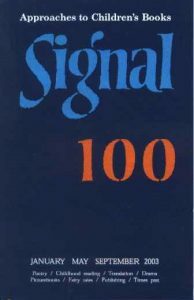 In 1969, Aidan and Nancy Chambers established Signal: Approaches to Children’s Books (1969-2003), one of the first journals dedicated to children’s literary criticism and home to the Signal Poetry Award (1979-2001). Through their own Thimble Press, they also published highly influential works of children’s literary criticism, invaluable guides to the best books for children, and Aidan Chambers’ seminal works of children’s literary criticism (‘The Reader in the Book’ ) and on education (The Reading Environment , Tell Me: Children, Reading and Talk ). Added to this is Aidan Chambers‘ work as editor of ground-breaking YA MacMillan Education imprint, Topliner (1968-1980), his own award-winning ‘Dance Sequence’ of young adult novels as well as books for younger readers, and his work as editor of Turton & Chambers, an independent publishing house dedicated to publishing books in translations. What becomes clear on delving into the archive is the richness of the material and the wealth of opportunities it offers researchers. 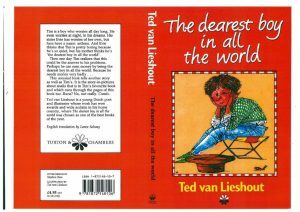 Final cover artwork for Ted van Lieshout’s The Dearest Boy in all the World (1990). Let’s take the Turton & Chambers (T&C) material as a quick example. 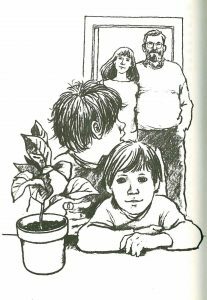 Beginning in 1989, this was a co-equal venture between David Turton, owner of The Singing Tree children’s bookshop in Perth, Australia and Aidan Chambers: Turton provided the finances and Chambers the editorial expertise. According to T&C’s promotional material, their aim was to ‘publish the rare, the unusual, the extraordinary, the refreshing’ (Company Notice, T&C, Books for Young Readers, Aidan and Nancy Chambers archive, Box A, file 11, p.2.). Books that, for Chambers, allowed readers to ‘extend their range of thinking, their imagination’ (Niki Kallenberg, ‘Features: Publishing the kind of book I wish I’d written’, Scan, 9(3), June 1990, 4-9 [p. 5]) in a way he thought was impossible in their own language. Over the course of three years, T&C published 16 books, mostly prose, translated from French, German, Swedish, Norwegian and Dutch. Many T&C authors, such as Maud Reuterswärd (A Way from Home (1990), Noah is my Name (1991), both translated from the Swedish by Joan Tate, Tormod Haugen (Zeppelin (1990), translated from the Norwegian by David R. Jacobs) and Peter Pohl (Johnny, my friend (1991), translated from the Swedish by Laurie Thompson), were all award-winning novels either in their country of origin or in Europe. Sometimes stylistically challenging, often unusual and innovative, always thought provoking, the T&C list remains relevant and genuinely engaging for readers of all ages. Illustration by Tord Nygren for Maud Reuterswärd’s Noah is my Name (Turnton & Chambers, 1990), p. 80. Aidan Chambers’ correspondence with Anthea Bell, perhaps best known for translating René Goscinny and Albert Uderzo’s Asterix books, offers fascinating insights into many aspects of their work and lives. Letters illuminate the relationship between translator and editor, the practicalities and realities of working as a translator, and the nuanced and detailed discussions that took place between Chambers and his translators to ensure work of the highest quality. Letters also reveal the warm relationship between Aidan Chambers and Anthea Bell. Writing to Bell on 13th July, 1989, Chambers describes the ‘nerve-wracking’ process of bringing two books to print ‘without the support of a design department’ and comments that despite any resulting shortcomings, ‘at least the books will come from strong personal commitment and extraordinary good will and generosity from those like yourself who have helped with translation and editorial work’ (Box A, file 1). Happily, the T&C archive has been examined and catalogued as part of a bigger project to fully catalogue the Aidan and Nancy Chambers archive, which will take place over the next 18 months. Work is now underway cataloguing the material for the 100 editions of children’s literature journal Signal, edited by Nancy Chambers. Taking up almost 30 archive storage boxes, the team has begun to weed, process and re-package the material, prior to creating the catalogue. This is a delicate process: a balance has to be found between preserving materials that clearly demonstrate the production processes of the journal with the demands on storage space, the research value of the material, and the ease of use for future researchers. Added to this, is the need to condition check all material prior to re-packaging to ensure that no unwanted substances, i.e. dreaded mould, are transferred into the Collection. All of this adds up to slow and careful work: the weeding process alone will take two months. The end result will be worth it. Enquiries are already coming in from researchers keen to access the Chambers archive and the team is working hard to get the material ready for them. Thanks Hazel! We’ll look forward to hearing more about what you’re discovering in the Chambers Collection as your project progresses. Hi Anna and Amy! Please introduce yourselves. Hello! I’m Anna and I live in Gateshead, although I am originally from Northumberland. I came to the Museum Studies MA course with the aim of beginning a career in the museums sector, alongside developing my practice as an illustrator. Hi, I’m Amy and I’m originally from County Durham. I moved to Newcastle 5 years ago when I got my place at Newcastle University to do my Ancient History BA. I decided to do the MA with the intention of (hopefully) being able to get a job in museum learning after. And after all there’s no better place for history than in a museum! 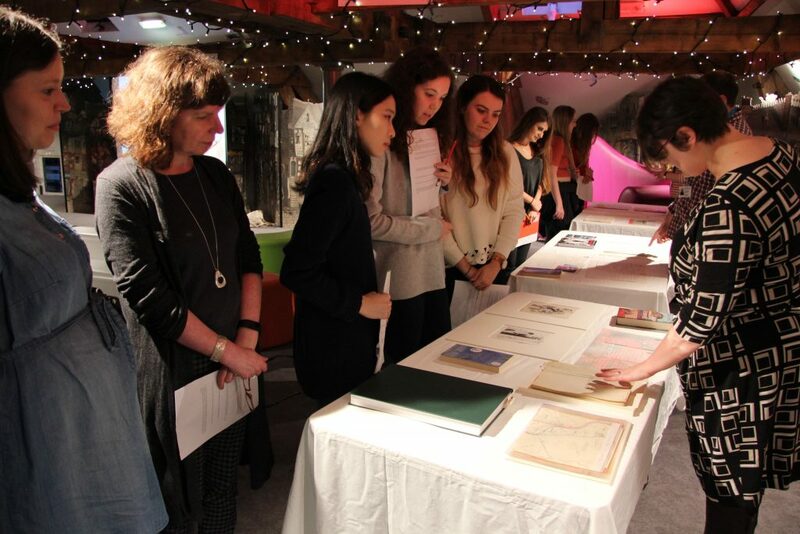 Tell me about the Museums Studies MA course – how are you finding studying at Newcastle? Amy: I’m loving it! I couldn’t think of a city more suited to a Museum Studies course than Newcastle – there are so many museums and galleries on your doorstep you’re spoilt for choice. I love Newcastle and can’t imagine leaving! Anna: I could not have asked for a better experience, in all honesty. The course at Newcastle has a great reputation and as I was keen to stay in the North East to help contribute towards the growing arts industry here, it was the perfect choice. What attracted you to do a placement at Seven Stories? Anna: What didn’t attract me! Having specialised in creating illustrated books during my undergraduate degree, I have had an interest in the work that goes on at Seven Stories for a while. I previously had some of my illustration work displayed in the visitor centre, which I found very exciting. Amy: I’m a long-time fan of Seven Stories. I actually came to the opening in 2005 and met Jacqueline Wilson and Nick Sharratt; I LOVED Jacqueline Wilson’s books so Nick Sharratt drawing me my own Tracey Beaker, on the cover of my tattered book, is one of my favourite childhood memories. So, what have you been up to on your placements? Amy: I’ve been based with the Creative Learning and Engagement team and I’ve been able to learn a lot about Seven Stories offerings, both onsite and in schools. I’ve shadowed EY, KS1 and KS2 workshops as well as spending a couple of days with Creative Associates learning about the Reader in Residence and Reading for Pleasure offerings. I’ve also being analysing and interpreting data regarding the learning programmes and spotting any trends and patterns. Anna: I have been primarily based with the Seven Stories Collections team. My main job has been to catalogue the Fritz Wegner collection, which Seven Stories acquired in 2017. I have had the opportunity to work in the visitor centre on the de-installation of the Comics exhibition, and on the install for the new Where Your Wings Were exhibition. The tasks I was involved with included removing and packing artworks and display items, assisting in the hanging of artworks, and sourcing some images used in the displays. How is your placement helping you to develop the skills you’ll need for a career in the museums sector? Anna: I came to the MA course at Newcastle University with little practical experience of working in a museum environment. The placement has helped me put my theoretical knowledge from the MA course into practice. Working at Seven Stories has given me access to experts in the industry and enabled me to work directly with the collection. Amy: I already have experience of delivering workshops and activities so doing my placement at Seven Stories meant that I could work with data, figures and reports to learn first-hand how data interpretation can be used to inform the future progression of a learning programme. It’s something I normally wouldn’t have had the opportunity to do and I’ve really enjoyed doing something different! What have you learned from your placement at Seven Stories? Amy: I’ve learned so much but my favourite part was learning about how much stories and reading can positively impact a child’s development and ultimately improve their academic performance and confidence. Anna: I’ve learned that a huge amount of hard work, dedication and love goes into maintaining the collections! Before beginning my placement, I was of the belief that museum roles are well defined and separate from one another. I now know that multitasking and cross-discipline work is becoming a more common way of working. Anna: I would like to thank all of the wonderful staff I have worked with. As an illustrator, it has been an absolute delight to work with original artworks, and it has really inspired me in my own practice. Amy: I didn’t know it was possible but my time here has made me an even bigger Seven Stories fan! Thanks Amy and Anna! It’s been a pleasure to work with you both and good luck with the rest of your MA studies! Inspired by hearing about the ‘A Manchester Alphabet’ project, where 8 primary schools in the North West created their own heritage alphabets, Newcastle University Library led a project with nine classes of Year 5 children, who researched, wrote and illustrated their own alphabet books exploring their local heritage. 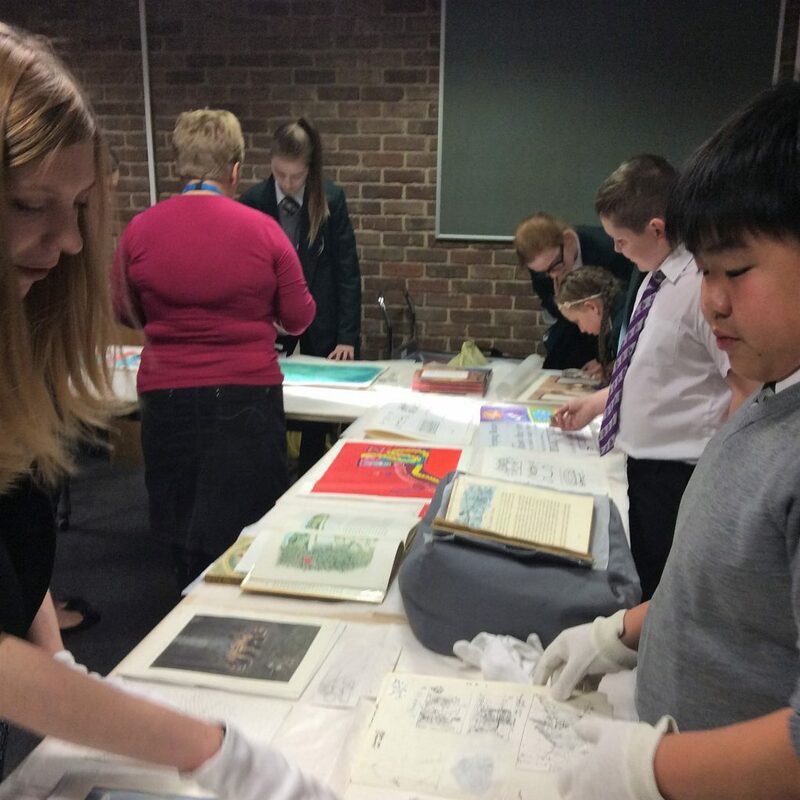 Newcastle University’s Special Collections Education Outreach Officer Gillian Johnston led the project, which formed part of Historic England’s Heritage Schools programme, and 240 children from five local schools took part. For Gillian, the starting point for the project was Old Aunt Elspa’s ABC, an alphabet book with woodblock printed letters and associated images by Joseph Crawhall II, held in the University’s Special Collections. The University Library also holds early hornbooks, and there are a number of alphabet books within the Booktrust collection. Gillian got in touch with Paula Wride, Seven Stories’ Collections Officer, to find out about alphabet books in their Collection. Alongside the extensive Pat Garrett ‘ABC books’ collection, Seven Stories hold original archives for books including Judy Brook’s Mrs Noah’s ABC 123, Robert Crowther’s pop-up Most Amazing Hide and Seek Alphabet Book and Beverley Naidoo and Prodeepta Das’ S is for South Africa. These collections were displayed during a CPD course which was attended by primary school teachers from Barley Mow Primary School, Bridgewater Primary School, Byker Primary School, St John’s Primary School, and Walkergate Community School. Over the course of the CPD day, the teachers explored the alphabet book collections, and went on a heritage walk around central Newcastle to find out about the history of the area. They explored different artistic techniques for illustrating their alphabets with the Hatton Gallery’s Education team and tried out creative and non-fiction writing styles. Next, the teachers used this framework and additional support provided in school by the University Library to develop their project, and engaged each class with creating their own heritage alphabets. Finally, the children’s artwork and writing was professionally collated by Michael Sharp from the University Library’s Special Collections team to make a series of beautiful alphabet books. These were printed by Print Services, Newcastle University and presented to the children in a special assembly in school – along with their Heritage Schools plaque from Historic England! Children with their finished alphabet books. Celebrating become a Heritage School. Evaluating the project, we reflected on what an interesting collaboration this has been – and we’re hoping it will lead to additional partnership work in the future. And aren’t the alphabet books that the children created amazing? Thank you to colleagues at Newcastle University Library, Historic England, the Hatton Gallery and Seven Stories for their contributions to this post. In this blog post, I’m reflecting on the Vital North Partnership’s work from 2015 to 2018, supported by Arts Council England’s Museum Resilience Fund. Through the programme, Seven Stories, The National Centre for Children’s Books have strengthened their leadership role as Britain’s home of children’s literature. Funding allowed them to invest in their strategic collaboration with Newcastle University, and supported business planning and income diversification. Seven Stories: The National Centre for Children’s Books and Newcastle University share the ambition that Newcastle becomes a centre for excellence in children’s literature – for collections, research, learning, engagement and professional practice. Arts Council England funding, matched by Newcastle University, supported the employment of a Partnership Manager (me!) to lead the collaboration, and provided a project budget. Collaborating on the UK’s first English Literature Knowledge Transfer Partnership, supported by AHRC and InnovateUK. 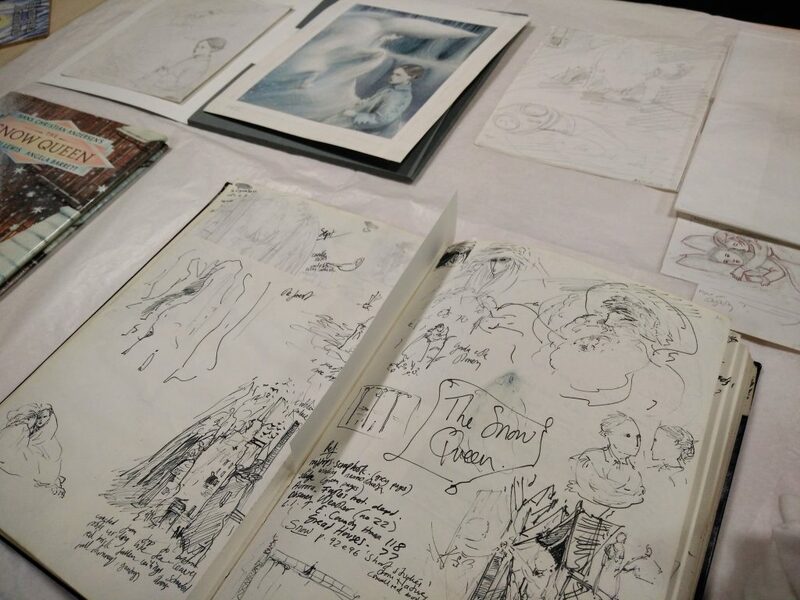 This embedded a research function into Seven Stories’ Collections and Exhibitions Team and informed the Michael Morpurgo: A Lifetime in Stories exhibition. Being recognised as the Knowledge Exchange / Transfer Initiative of the Year at the Times Higher Education Leadership and Management Awards 2017. Securing three fully-funded PhDs looking at Seven Stories’ collections and spaces, supported by Newcastle University, the AHRC and the National Productivity Investment Fund. Seven Stories engaged with 9 undergraduate and postgraduate taught modules at Newcastle University, from Music to Geography, providing learning and skills development opportunities. Seven Stories hosted 20 Newcastle University student internships, from museums studies to film production, helping young people to experience cultural and creative careers. Delivering 33 joint public events, from expert talks at Newcastle University to activities for early years in Seven Stories’ Studio. Enabling Seven Stories to invest in marketing activity and branding development to understand audiences better and encourage new and repeat visits. The Vital North Partnership supported Seven Stories’ first crowdfunding campaign, which will enhance their work with families with additional sensory needs. 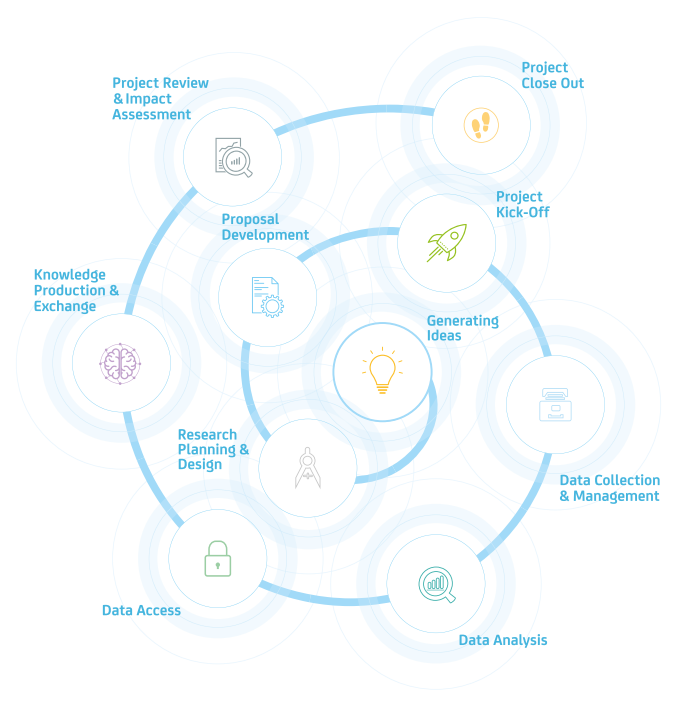 Through collaborative activity with Newcastle University, Seven Stories were able to access higher education-related funding and support, from funders such as EPSRC, The Leverhulme Trust, Horizon 2020 and ERDF. Seven Stories invested in additional collections storage, enabling additional collection acquisitions during 2015 – 2018. Working with Newcastle University Library, Seven Stories explored collaboratively acquiring and providing access to collections. 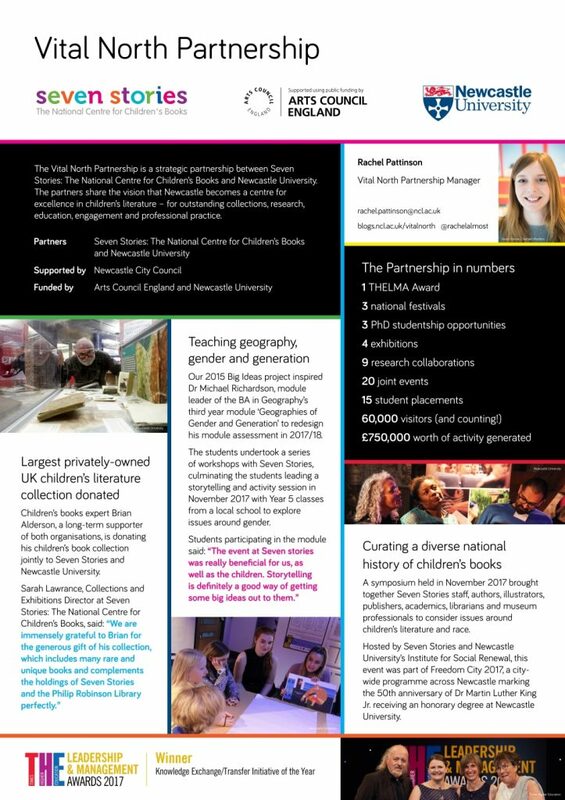 This included working on joint outreach projects with 8 local schools, and jointly acquiring the largest private children’s literature collection in the UK. 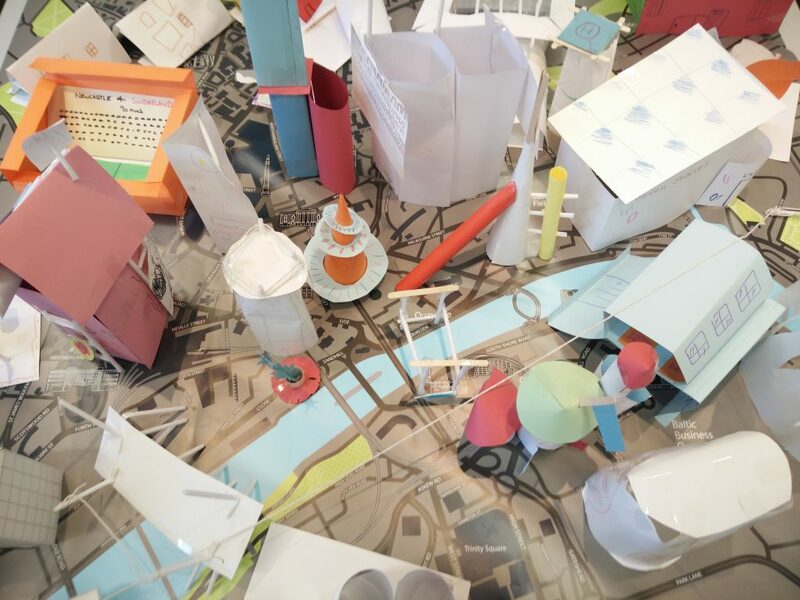 As part of the Newcastle City Futures Urban Living Partnership, Seven Stories’ visitors explored the future of the city, informing a new architectural project on reimagining children’s spaces. Developing a detailed options appraisal for Seven Stories’ future infrastructure, and securing funding through the Higher Education Innovation Fund to explore models for the long-term future of the collaboration. 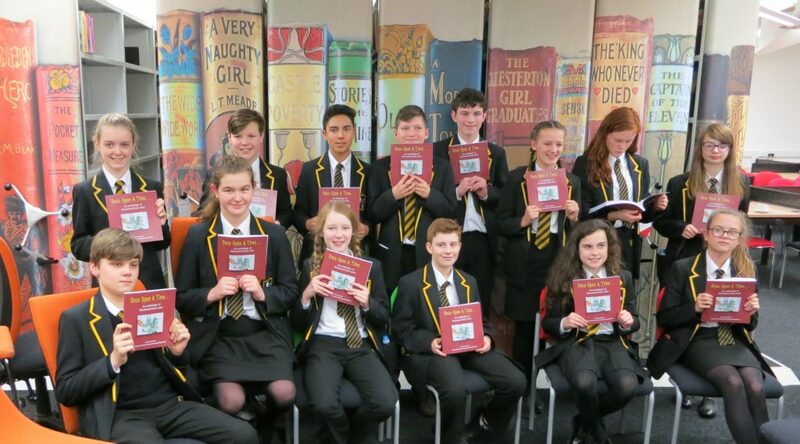 Pupils with fairytale books created as part of an outreach project led by the University Library with Seven Stories and the Hatton Gallery. Through the project, Seven Stories’ work became embedded within Newcastle University’s structures, and enhanced their financial resilience. 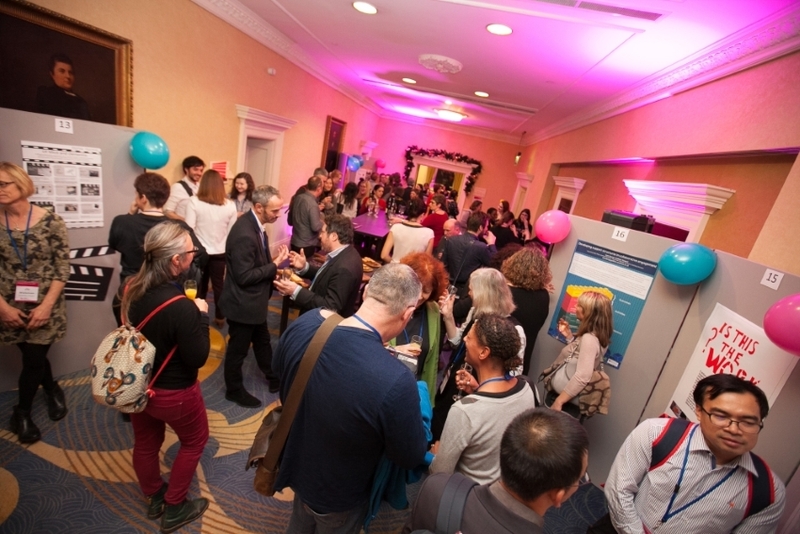 For Newcastle University, new research collaborations were developed, wider audiences accessed academic research, and the Partnership provided unique opportunities for teaching and learning. The partnership between the two organisations has been recognised by Arts Council England through the 2018 – 22 National Portfolio scheme, and with match funding from Newcastle University, we are looking forward to an ambitious programme over the next four years. And for more information on that – watch this space! In this post, Northern Bridge PhD student Amy Burnside reflects on her six-month placement at Seven Stories: The National Centre for Children’s Books in 2017. The Northern Bridge Doctoral Training Partnership is formed of Newcastle University, Durham University and Queen’s University Belfast and their strategic partners and is funded by the Arts and Humanities Research Council. In June of last year, I packed up my books and my notes and closed the door to my office at Queen’s University Belfast for six months. As a Northern Bridge doctoral student I was given the opportunity to take up a placement with one of the consortium’s partner organisations and naturally, I jumped at the chance! I chose to work with Seven Stories for several reasons – firstly, books were foundational to my childhood, and my love of literature has seen me through two (and a half) degrees in the field. The thought of seeing some original material up close was exciting! Secondly, I liked the idea of working with an organisation that has strengths in public engagement, both through the visitor centre and at the archive. As the final year of my PhD roared into view, I was also aware of the need to plan for the next stage in my career, and I was keen to develop some skills beyond those which writing a thesis can offer. So what have I been up to? The simple answer is LOTS of things! When I first arrived in Newcastle, the team at Seven Stories were gearing up for a changeover in one of their gallery spaces. During these times they need all-hands-on-deck to get things ready for a new exhibition, and so I was kitted out in steel-toed boots and put to work! I was able to assist with de-installing the Michael Morpurgo exhibition (by taking artwork off the walls, scraping off vinyl lettering, changing light-bulbs and dismantling built props) and installing the Comics exhibition (almost the same in reverse!). It was great to start my time at the visitor centre, getting some very hands-on experience in the public-facing side of museum work. Later on, I had a chance to do some audience research in the Comics gallery, and it was lovely to see families and children engaging with the space and the objects on display. After things had calmed down a bit, it was time to learn how to use CALM, the management system used by the archive to record their holdings. Once I had got to grips with this, I was able to tackle my first collection – Noel Streatfeild’s – which included original manuscripts, correspondence, and personal diaries. This was exciting for me as a life-long fan of Ballet Shoes, and the collection granted me a much better insight into Streatfeild’s writing practices, and the personal experiences which shaped her stories. It was incredibly satisfying to take charge of the collection, ensuring it was organised, repackaged and catalogued in an accessible way, while respecting as much of the original order as possible. Even more satisfying was getting to see the material in use before I left. You can read more about the collection in my post for the Seven Stories blog. After completing work on the Streatfeild collection, I spent a bit of time in the world of the Wombles sorting through some of Elisabeth Beresford’s huge collection. The Wombles material had been worked on by several volunteers before me, and will probably require the attentions of a few more before it is complete. I realised just how lengthy the cataloguing process can be in a collection of that scale, and I was better prepared for the final collection I worked on, which ran to almost 50 boxes! Working on this was especially exciting as I knew the material would be used extensively – I was given the chance to select items and write some copy for the collection highlights page, as well as liaising with senior curator, Gill Rennie, and presenting some of the material to various teams in the organisation. Unfortunately I can’t say much more about this mystery collection yet, but keep your eyes peeled for an exciting new exhibition this summer! Although work at the archive took up the majority of my time, the team gave me the chance to get involved with lots of varied activities in the organisation, from working at white glove handling sessions (at a wedding, a conference and a schools project) to helping at a celebration event for the Living Books project. There was never a dull moment, and I’m really thankful to all the wonderful members of staff for their patience in showing me the ropes and sharing their fantastic knowledge of children’s literature, as well as making me feel right at home in the office. I’m now back to normality in Belfast, finishing my thesis and missing the Seven Stories tea breaks. I learned so much during my placement, and would highly recommend applying for Northern Bridge funding – it’s a fantastic opportunity to test the waters of research-adjacent careers, while completing your thesis. I would come back to Seven Stories tomorrow if I could, so here’s hoping it won’t be the last you’ll see of me! Thanks Amy! Everyone at Seven Stories really appreciated all your hard work. This was a really successful first Northern Bridge placement experience for Seven Stories, so much so that we’ve just welcomed our second placement student! 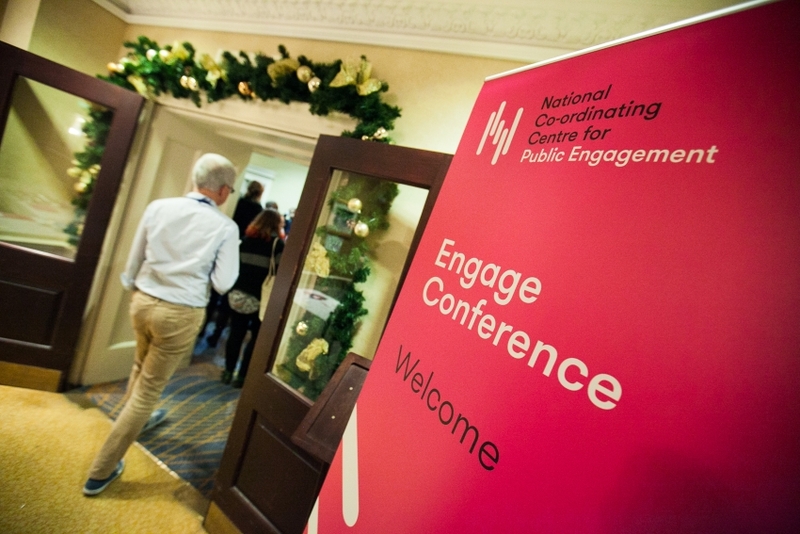 On 6th and 7th December 2017, I attended and presented at the National Co-ordinating Centre for Public Engagement’s Engage Conference in Bristol, which this year focused on ‘exploring collaboration’. 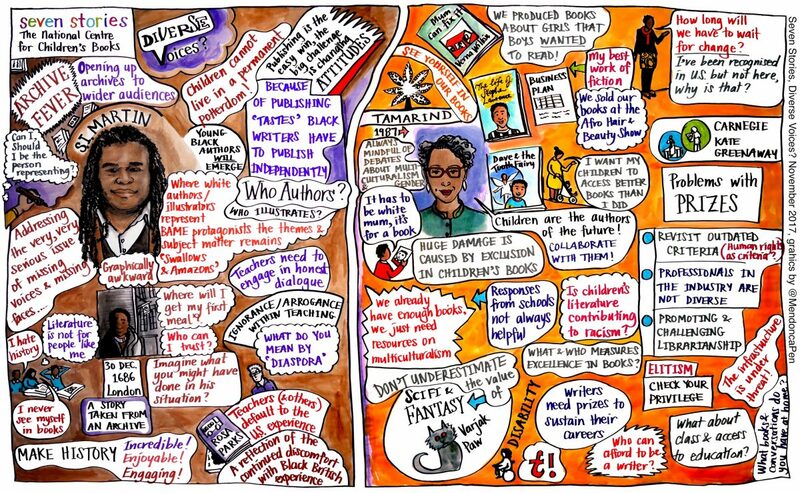 In this blog post, I’ll be reflecting on what I’m taking away from the conference and sharing the poster I presented on the Vital North Partnership between Newcastle University and Seven Stories: The National Centre for Children’s Books. Thinking about collaborating with a university, what animal is a university like? Is it an octopus? A soaring eagle? A bee? Or a huge, slow-moving whale? That was the opening question posed to delegates at the NCCPE Engage Conference 2017, and set the tone for two days of creative debate about the nature of university collaborations. In the first plenary, Ahmed Bawa of Universities South Africa focused on the ‘intensely local, and intensely global’ challenges which we face in society today. In a context of growing inequality, he encouraged universities to think hard about what they can do to further the social justice agenda. 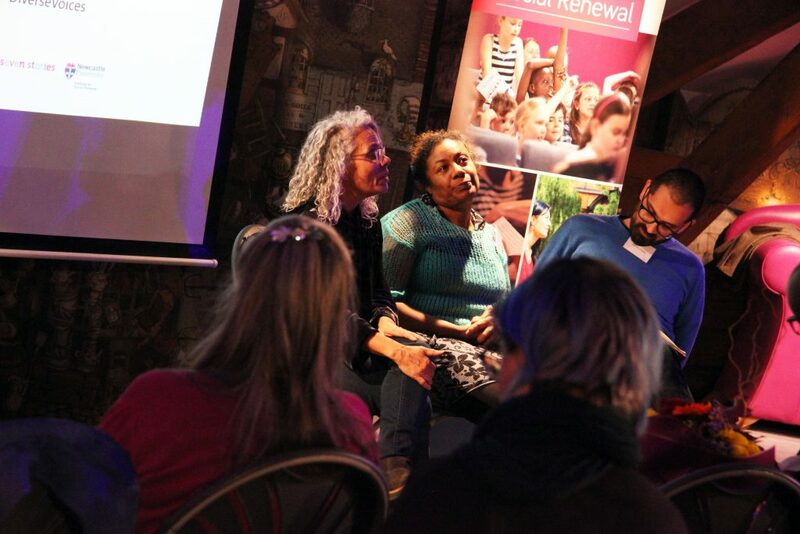 Newcastle’s Institute for Social Renewal, and Seven Stories’ work with children and young in some of the poorest areas of the North East, means this is a focus for the Vital North Partnership’s work. Nancy Cantor’s plenary, on Rutgers University’s work as an anchor institution within Newark, New Jersey, considered social justice in the context of the “birth lottery”. Universities do brilliant work on widening participation, but generally focus on Year 6 and above. In my work with Seven Stories, I see first-hand the impact that engaging with the arts has from birth onwards; and I often wonder whether universities need to engage with children and young people at an earlier stage. 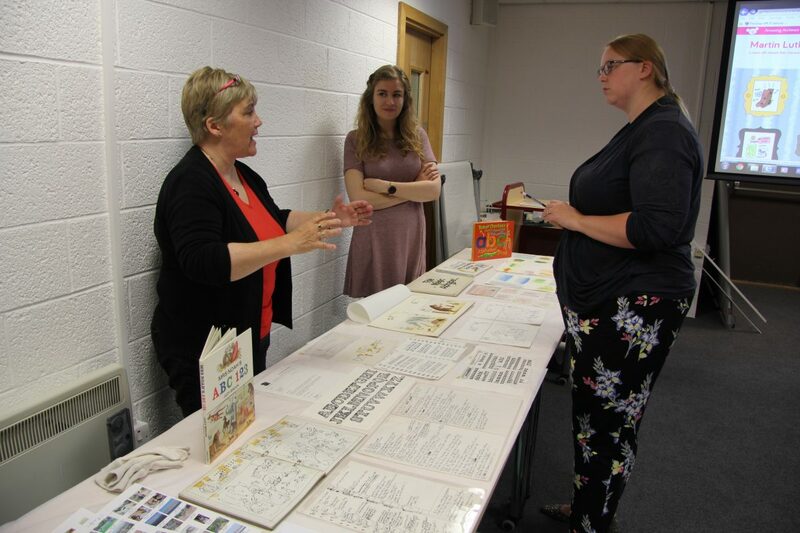 I heard more about the Museum and University Partnerships Initiative in the conference workshops, which I’ve recently been involved with alongside colleagues from Seven Stories, Tyne and Wear Archives and Museums and Northumbria University. It was really interesting to hear about some of the other MUPI projects from around the country and hear about successful engagement initiatives like TORCH’s Fright Friday event at the Ashmolean Museum in Oxford, and the National Museum of Scotland and the University of Edinburgh’s Science Saturday initiative (definitely a pattern emerging there). I also explored how the University of Bristol was engaging with the Fun Palaces campaign, which brings art and science to the heart of the community. In the mini-plenary on Strategic Approaches to Collaboration, I heard about current approaches to co-ordinating partnerships. Cardiff University presented their amazing work in the Grangetown area of the city, Community Gateway, which went on to win the Professor Sir David Watson Award for Community University Partnerships at the close of the conference. The Campus Engage project, a collaboration between the Irish universities, also presented on their charter for civic and community engagement. Campus Engage aimed to survey community / university partnerships to provide guidance on best practice and recommendations for the Irish Higher Education sector, and their Engaged Research report makes for interesting reading. 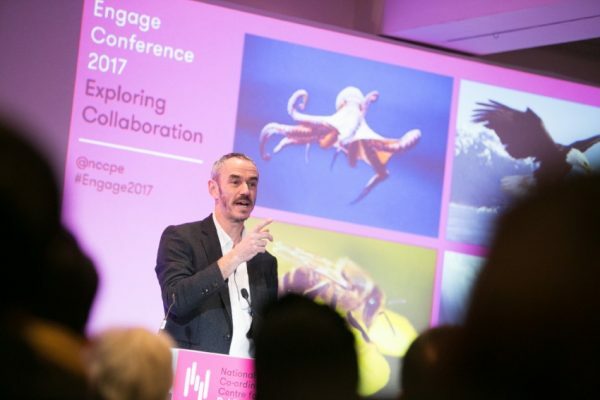 In a complementary mini-plenary, I heard Sophie Duncan and Paul Manners from the National Co-ordinating Centre for Public Engagement talk about their attempt to create a typology of public engagement activity, and the motivations behind it. This seemed quite a successful and helpful framework when considering a single project, but I struggled to see how the Vital North Partnership’s work as a whole would map onto this. Steven Hill, Head of Research Policy at Higher Education Funding Council for England talked about the Research Excellence Framework. I was particularly interested in his idea of collaboration as a skill set in itself, and the concept of distances of collaboration (both physical and figurative). Some of these comments about how research metrics are changing were echoed in the closing plenary, where Trevor McMillan, Vice Chancellor at Keele University, talked about the progress being made on the Knowledge Exchange Framework and the increasing governmental focus on the Industrial Strategy. So what is collaborating with a university like? Well, I would say a hybrid between an octopus and a whale. Newcastle University is a huge organisation, but through the Vital North Partnership, Seven Stories is collaborating with lots of different Schools and departments. A whoctopus, if you will. What do you think? 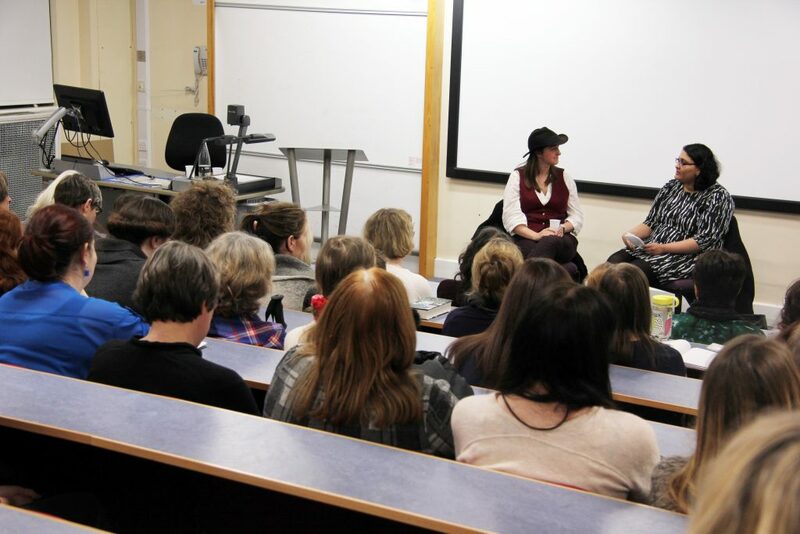 On Friday 24th November, Newcastle University’s Children’s Literature Unit and Seven Stories: The National Centre for Children’s Books co-hosted Diverse Voices? Curating a National History of Children’s Books. This one-day symposium explored how Black, Asian and Minority Ethnic voices are represented in our national story of children’s literature. In this blog post, which originally appeared on The Race to Read blog, symposium co-convenor Professor Karen Sands O’Connor of SUNY Buffalo State reflects on the events. The amazing cover graphic for this post, drawn live at the event, was produced by Pen Mendonca. 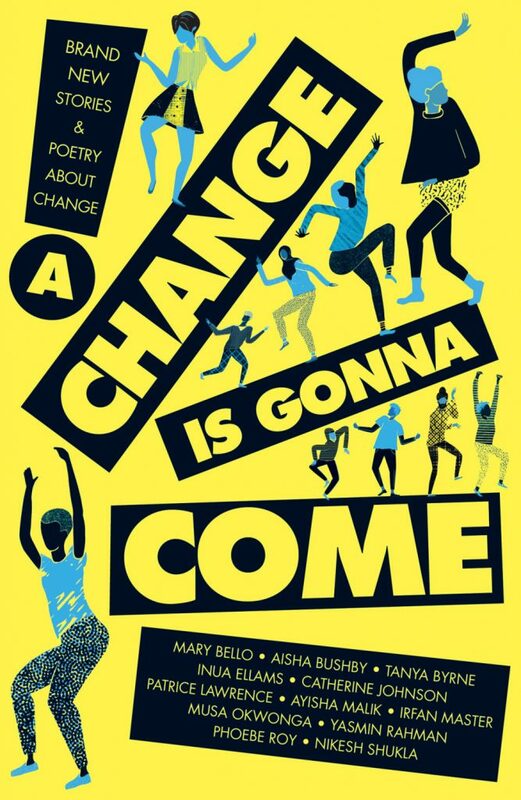 In the foreword to the recently-published anthology of fiction and poetry for young adults, A Change is Gonna Come (Stripes, 2017), philosopher Darren Chetty writes, “We can think of change as the space between who we are and who we want to be—between being and becoming—as individuals and as communities” (7-8). The brilliant and optimistic collection from Stripes includes writing from Diverse Voices? participants Darren Chetty, Patrice Lawrence and Catherine Johnson. This sentiment entirely encapsulates the motivation behind the Diverse Voices? 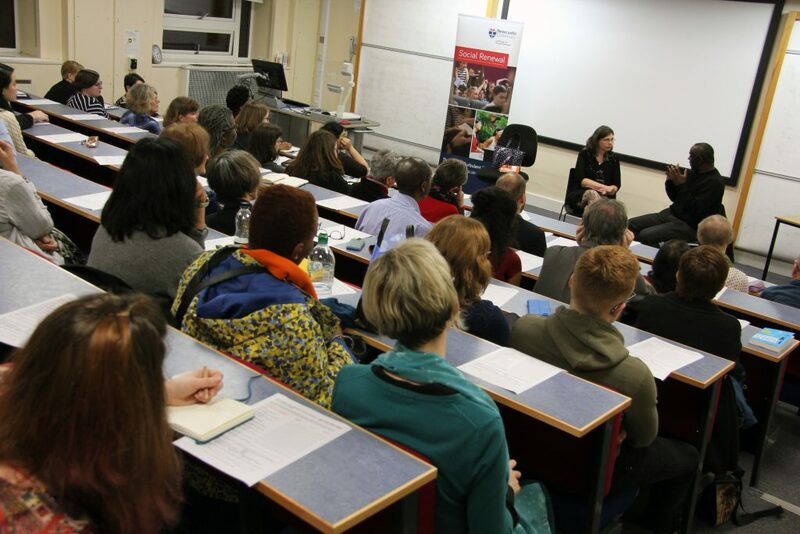 symposium I helped to organize with Seven Stories, the UK’s National Centre for Children’s Books, and Newcastle University, a symposium where Chetty was a participant. During my year as Leverhulme Visiting Professor (2015-16), I formed a relationship with the people at Seven Stories Collections – archivists, curators, and librarians – that was both personal and professional. They were supportive of (and occasionally amused by my revolutionary passion for) my project to make Black British literature a more “normalized” part of British children’s literature. As I put it in the book that resulted from that year at Seven Stories, “The face of Britain might have changed after World War II, but not necessarily the hearts and minds of white British people. This is partly because the Blackness of Black Britons was made manifestly obvious and continually depicted as Other; but the whiteness of white British society has remained largely invisible” (Children’s Publishing and Black Britain 5). The Diverse Voices? 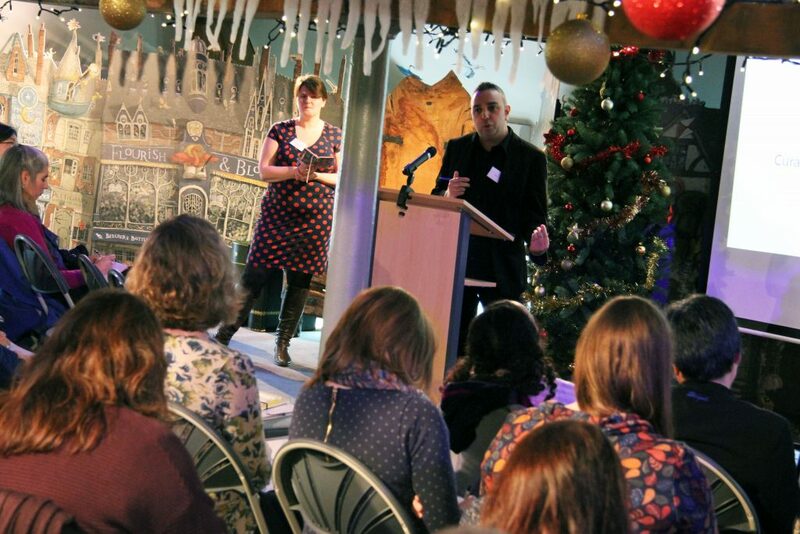 symposium, held at Seven Stories, allowed some of the brightest thinkers in writing, publishing, librarianship and academia to come together and think about ways to ensure that real change would finally come to the UK’s children’s literature. This blog highlights some of the thoughts (both from the event, and from their more public commentary) of the main speakers of the day. Catherine Johnson encapsulates the idea of Britishness/whiteness in her short story from A Change is Gonna Come, “Astounding Talent! Unequalled Performances!” In this story, the young protagonist is told to, “Fight the world . . . You are a black man in a white world. A foreigner” (69). When the main character protests that he was born in Norwich, the man responds, “I doubt if anyone else sees it that way” (70). Although I was familiar with this attitude, that if you are Black, Britishness is out of reach, I knew that Seven Stories did not want to mirror this sentiment in their museum or archives. 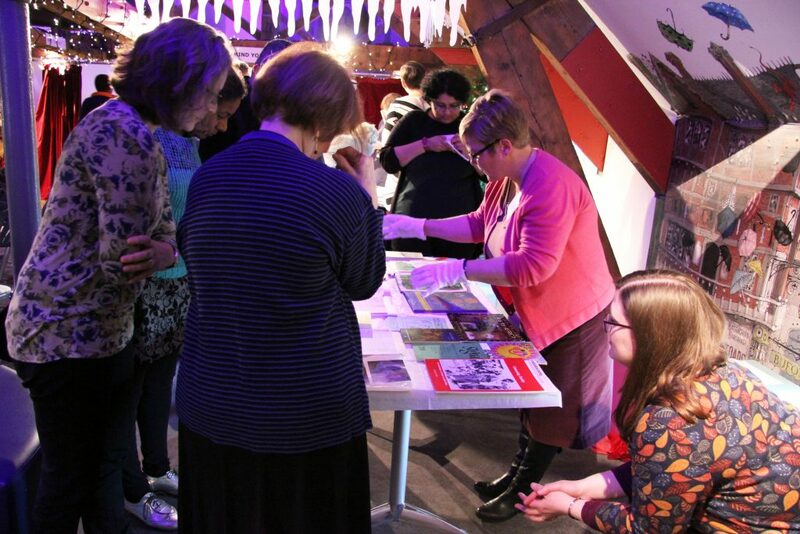 Collections and Exhibitions Director Sarah Lawrance pointed out on Friday that, “We have a longstanding commitment to collecting diverse authors and materials” at Seven Stories, but it has not always been an easy task for them. Part of my remit during my Leverhulme year was to provide some recommendations for expanding the collection, but I was very conscious of the fact that I – like most of the Seven Stories staff – was white and middle-class, and an American to boot: the very picture of privilege. What is the point of a person who has always been privileged enough to raise her voice (in revolution or otherwise) speaking on behalf of those whose voices have been historically side-lined? I did not want to replicate old histories. I suggested we bring some intellectuals – writers, editors, librarians, publishers, academics, book people – from historically-marginalized groups to Seven Stories to hear from them directly. Sarah agreed – as did so many of the great names that we invited. We called the symposium “Diverse Voices?” because it reflected Seven Stories’ previous Diverse Voices initiatives and left open the question of whose voices were heard and where those voices were welcome. It became part of Newcastle’s Freedom City 2017 project, a celebration of the 50th anniversary of Newcastle University’s granting an honorary doctorate to Martin Luther King, Jr. The themes of Freedom City 2017 were those that King mentioned in his speech at the ceremony: the effects of war, poverty and racism on society. King had come to Newcastle from my current hometown of Buffalo, where he argued that these problems affected young people the most because “the best in these minds cannot come out” when they have to worry about their education, their housing, their ability to make their voices count. Many of the symposium participants found the pace of historical change too slow, and did not wait for a space to be made for them. Verna Wilkins, the founder of Tamarind and then of Firetree Books, talked about how her life’s work was “an attempt to redress the balance” in the world of publishing. The illustrator Yu Rong spoke about seeing a hole in the publishing world: “There is very little about China and Chinese people in UK children’s books” and so Rong has done her best to fill up that hole, at least a little bit. Verna Wilkins talks about setting up Tamarind Books at Diverse Voices? Image: Newcastle University. But for almost everyone at the symposium, action by one group of people was not enough to bring real change for everyone. Instead, it will take hard work and difficult discussions to change children’s literature in the UK if we are going to make every child feel a sense of belonging in the world of books. We must read differently – think differently – speak differently. We must cross the barriers that keep us apart by any means necessary. “If someone doesn’t speak the same language as you . . . when you want them to understand not just the words that you say, but what you feel, then you try to speak in any way that you can . . . with your hands, with your eyes, with pictures in the sand . . . You act things out . . . you let the feeling show in your whole body . . . whatever way you can to show them you want to be your friend” (71). It is this kind of communication we need to keep up between us all, even when it is hard. When it goes wrong – as it will – we must keep on trying. This is the only way to ensure that the change we want will come in British children’s books – for all kids. Part of Freedom City 2017, the Diverse Voices? 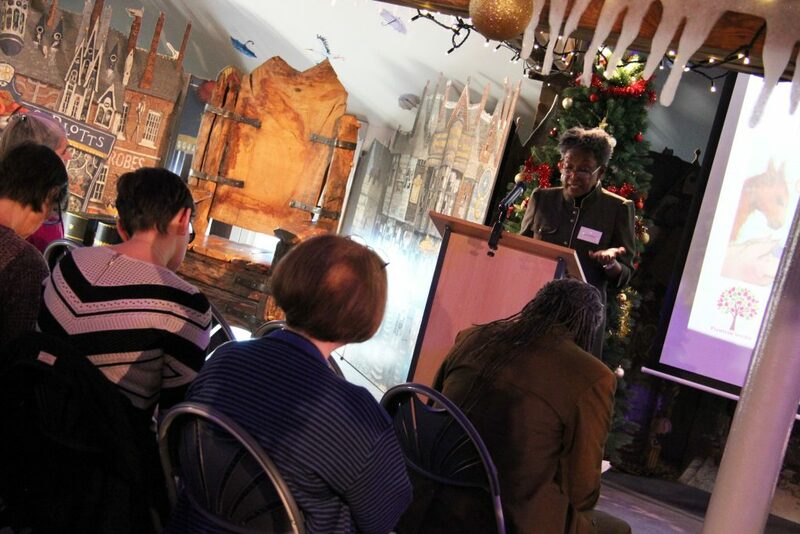 symposium and associated events were supported by Newcastle University’s Institute for Social Renewal, the Catherine Cookson Foundation, the Heritage Lottery Fund and Arts Council England. Hi Victoria and Sam! Please introduce yourselves. Victoria: Hello! I’m from Texas and graduated from Texas State University with a BA in philosophy, and trained as a special education teacher before starting my MA here in Newcastle. Samantha: I’m Samantha Dunning. I did my undergraduate in Anthropology from Kutztown University of Pennsylvania. I always loved museums, both visiting and volunteering, so decided to get my MA Museums Studies and hopefully turn my love into a career. Samantha: I’m very happy with my decision to attend Newcastle University. The modules were stimulating, theoretical and practical. I’ve enjoyed living in Newcastle. There are plenty of museums and historical places to visit. It’s also one of the friendliest places I’ve been. Victoria: It’s been absolutely exhilarating! The course has been very practically useful, and we’ve had some fascinating guest lecturers and opportunities for hands-on work. The museums in and around Newcastle are all top-notch and there’s always something new and exciting to go check out. Victoria: I actually heard about Seven Stories before I even moved over here; everyone who knows my love of fairytales and children’s books told me I would fall in love with Seven Stories, and they were completely right! Having the opportunity to do my placement working with children and books was perfect for me. Samantha: I have done little archival work in the past and wanted the knowledge and experience. With the installation of a new exhibition coming, I saw the opportunity to do other museum work. I wanted to get as much out of my placement as possible. Seven Stories offered that. As a lover of books, I knew the collections and exhibitions here would be of great interest to me. Samantha: I have done a lot of different work in my 30 days. I helped with the framing for the Comics exhibition. I also created facsimiles of older, more delicate comics that the visitors could page through and read. I assisted in the de-installation of the Michael Morpurgo exhibition and the installation of the Comics exhibition. Finally, I worked on a new archive acquisition: researching, sorting, numbering, repackaging, etc. Victoria: I’ve been fortunate enough to learn about a few different projects from the Learning team. I’ve looked at the Reader in Residence and Power of Reading programmes and the positive impact they have in schools, I’ve done some work on the Hooks Into Books programme, and I’ve had the opportunity to sit in on some school sessions delivered by the fabulous Storycatchers. Because of my interest in special education I’ve also had the opportunity to learn about the SEND programmes and resources Seven Stories offers and look at how Seven Stories prioritises accessibility. Victoria: Being able to focus solely on the way museum learning is developed and delivered has been so useful; our MA course touches on a little of everything, which is wonderful, but having the opportunity to see how the particular area in which I want to make a career works in the real world has been fascinating – and, honestly, a lot of fun. I love museum learning but I definitely needed some practical know-how to back up the enthusiasm! 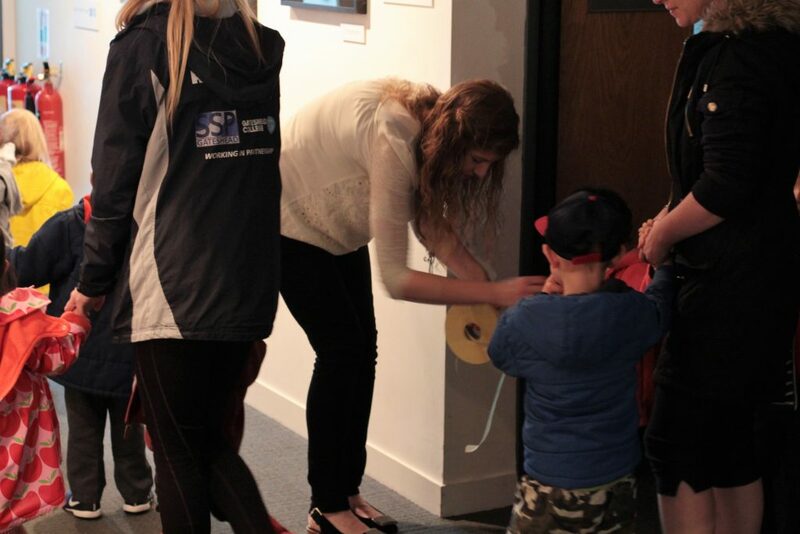 Samantha: I have definitely received some practical, hands-on experience in a museum and archive. I could use all of this in the future. I also witnessed many discussions and decision-making that I could look back to if I ever find myself in similar situations. Samantha: I have learned some conservation techniques, archival research and database entry, the process of exhibition installation, condition checking and much more. Victoria: I’ve learned how much impact reading outside of schools has for children both in school and in life in general, and how that informs museum learning programmes. Seven Stories does amazing work immersing children in stories, and that makes an incredible difference in school performance in addition to just being a whole lot of fun for the children. 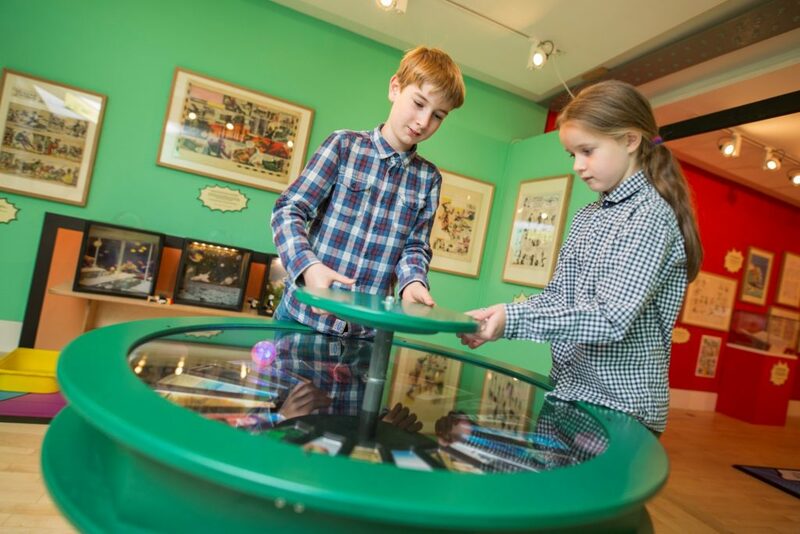 Museum learning programmes have a unique opportunity to be as engaging and entertaining as they are practical and useful. Victoria: Many, many thanks to everyone on the Learning and Participation team and the visitor’s centre staff for making my placement experience so fantastic! I’m so thrilled I had the opportunity to be a part of the wonderful work Seven Stories does. Thanks for all your hard work Sam and Victoria, and good luck with the rest of your MA! Fairy tales are some of our oldest stories. As they pass down from generation to generation, they are retold and reinterpreted by different artists and audiences. This continual process of reinvention inspired a project led by Newcastle University Library’s Outreach team, who collaborated with the School of English Literature, Language and Linguistics, Fine Art at Newcastle, Seven Stories: The National Centre for Children’s Books and Tyne and Wear Archives and Museums to encourage children from three local schools to write and illustrate their own fairy tales. 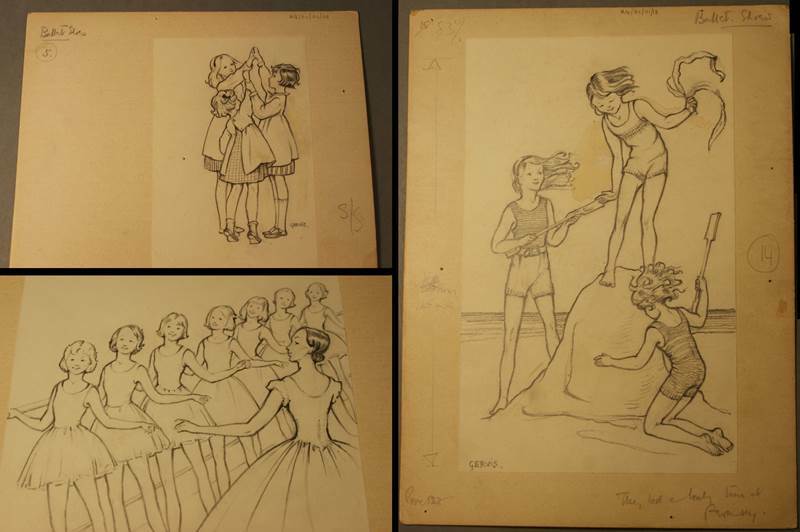 Newcastle University’s Special Collections include historic and contemporary collections of children’s literature. In the Chorley Collection, Laura Valentine’s highly illustrated Aunt Louisa’s Book of Fairy Stories and Wonder Tales, formed the inspiration for the project. The project aimed to introduce the students to Newcastle University and develop their creative writing and artistic skills by challenging them to create their own fairy tales. 60 Year 8 pupils from Excelsior Academy, St Cuthbert’s High School and Park View School explored fairy tales through two days of workshops at Newcastle University, led by Newcastle University Library’s Outreach Team. The first day of the project focussed on creative writing. Working with staff and students from Newcastle University’s School of English Literature, Language and Linguistics, the children learnt about the history of fairy tales through a mini-lecture and took part in a creative writing workshop. On their second visit to the University, the children focussed on illustration, taking part in a visit to Fine Art at Newcastle, and an illustration workshop facilitated by the Hatton Gallery’s Education Officer. Day 2 also included a fairy tale Collections handling with Seven Stories. Paula was really keen for Seven Stories to be involved in this project because ‘it gave us an opportunity to work in partnership with the Special Collections team, to share our Collection in a different environment and give children hands-on access to archival material.’ She chose to show a selection of books and original illustrations from the Seven Stories Collection ‘to show the variety of different techniques and styles that illustrators use’. 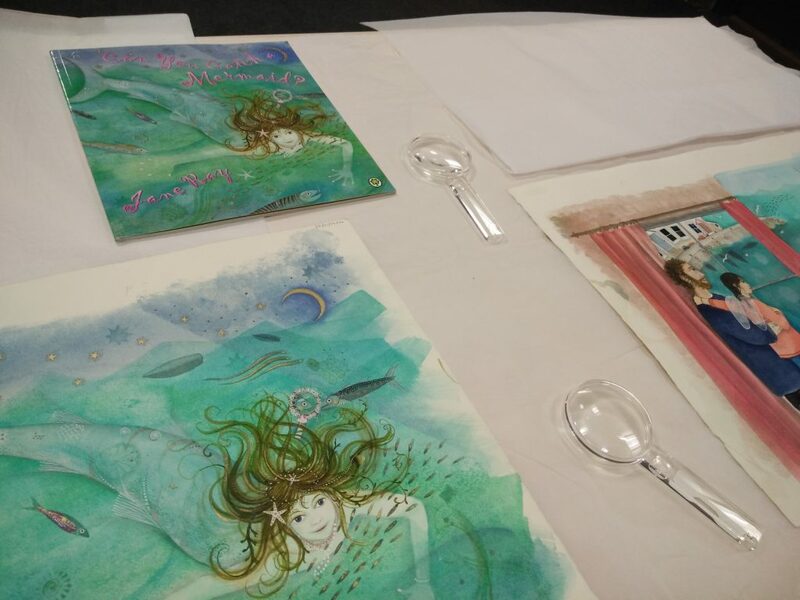 I went along to help facilitate the Seven Stories sessions, where Paula introduced the material – and then we let the children explore the Collection for themselves! After the two days of workshops at Newcastle University, the children completed their fairy tale stories and illustrations back at their schools. Then, the Library combined these into a beautiful volume and presented a copy to each student at a celebration event held at the University.